In the midst of spring it becomes time to celebrate the earth’s richness and fertility in the ancient fire festival Beltane. 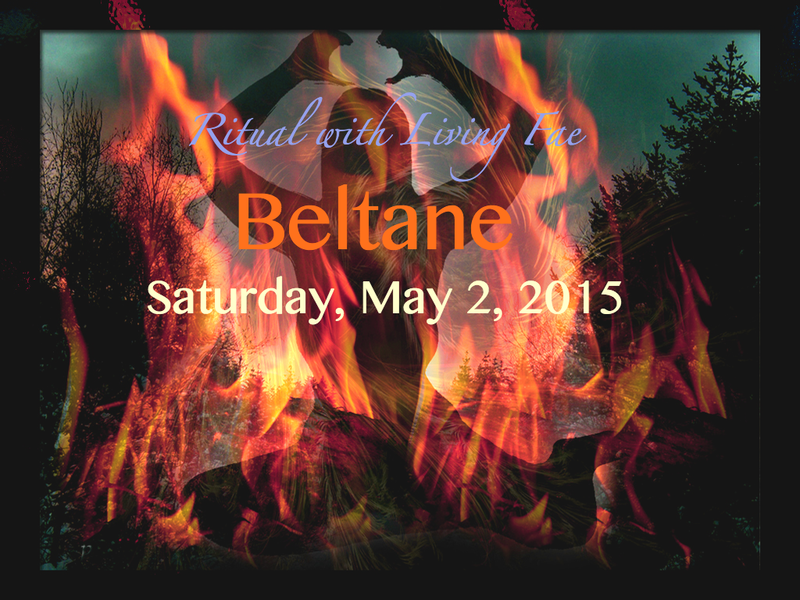 Beltane is typically observed on May 1st. 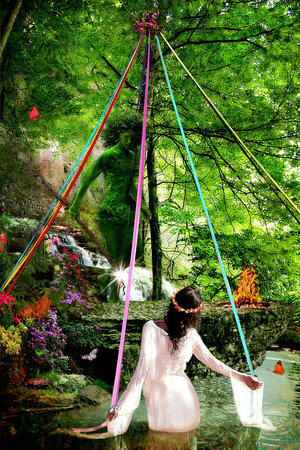 There are many different ways Beltane can be celebrated, rituals all have a common thread of fertility. It represents the intimate union of mother earth with the fertility god which brings about growth, abundance and prosperity. This union is a blessing to new life all around, and serves to increase spiritual and emotional wealth. Bonfires are lit and traditionally made from different types of wood and wrapped with colorful ribbons. When the fire is ablaze, historically a piece of wood is taken from the fire and kept in the home to ensure a fertile summer. Another celebratory tradition is to dance around the Maypole. The Maypole represents the phallus. Ribbons are attached by a crown of flowers to the top, and then men and women each hold a ribbon weaving in and out as they dance around it wrapping the pole. Men go one direction, women the other. This is to symbolize the enveloping womb of the earth around the pole. 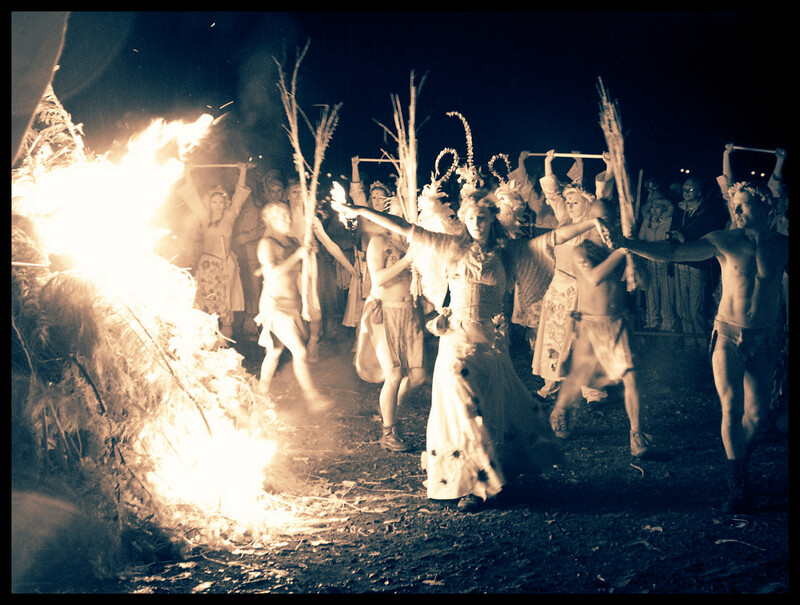 During Beltane passion is ignited, everything is coming alive, and bursting free. The transformation from a caterpillar to a butterfly. 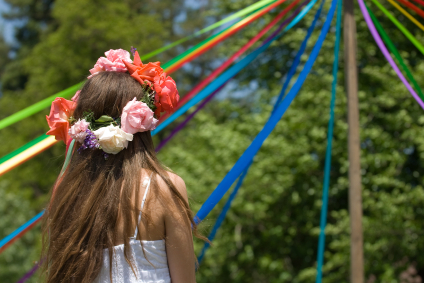 It’s a time of the grand rite, and there are ceremonies designed to represent the symbolic union of the May Queen and Pan, King of the Forest. Rituals are inspired by chase and lust with energies high, and minds open, wild and free. May Day brings about optimism and a zest for life. Be playful, passionate, colorful and inspire growth and abundance to all you encounter. Living Fae will be celebrating Beltane this year with a * Ritual Fire * Faerie Feast * Flower Celebration* on Saturday, May 2nd. May you experience a great earthing and a joyous, ecstatic sabbat! This entry was posted in Blessings & Rituals, Stories & Events and tagged Beltane, faeries, Fire Festival, may day, May Pole, maypole, Neo Pagan Rituals, Rituals, sabbat. Thanks so much. ❤ Blessings to you. Love, light and faerie dust. Whoops, it seems I hit enter prematurely. As I was saying, I performed a small Ostara-like ritual around the vernal equinox, but other than that, I’ve never really explored any cultural type celebrations before. Though I’ve been wanting to learn more so I can participate eventually. This was a great little introduction for me. Hi Darryl, that’s wonderful to hear. We love connecting with others who embrace something they feel called to do. Thanks so much for sharing with us. Love, light and faerie dust.